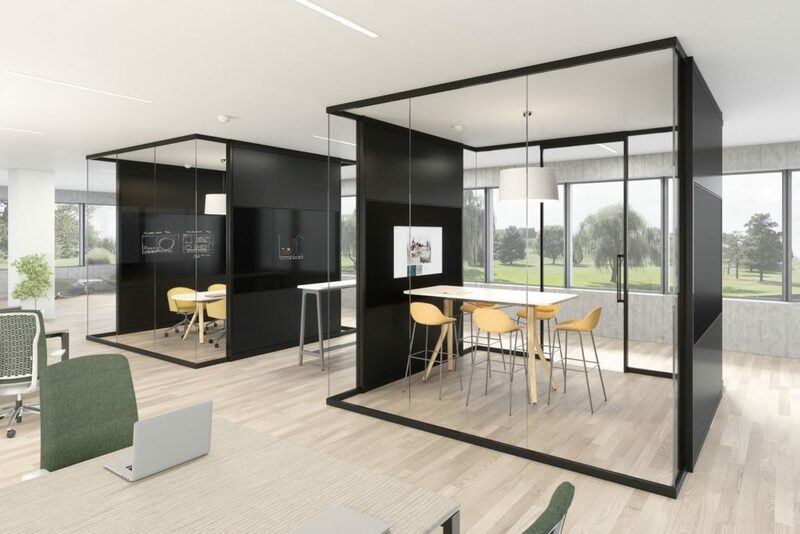 Tek Vue – PROJEX Inc.
Tek Vue is a glass office-front system that responds to the essential needs of today’s workplace. 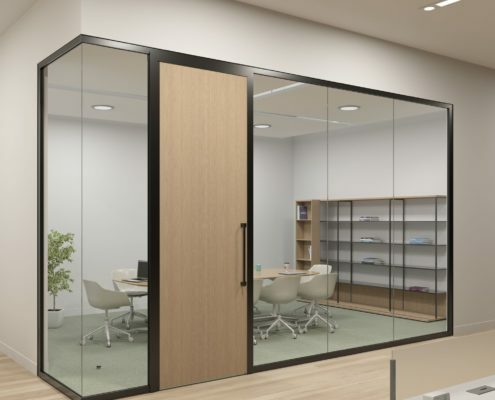 The system focuses on single-center glazing and thin-profile frames, while providing effortless integration with conventional construction and existing Teknion wall programs. 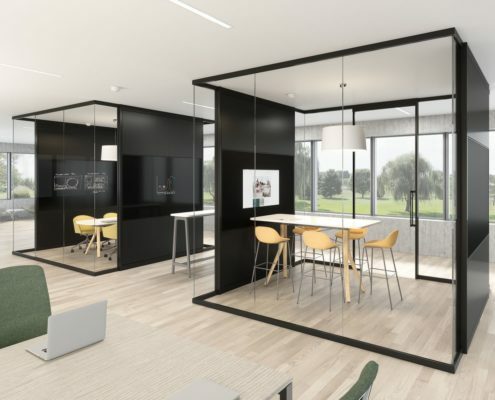 Tek Vue wall and door programs are built on the concept of a universal platform, which reenvisions how a system can be specified, planned and installed within the evolving world of interior architecture. 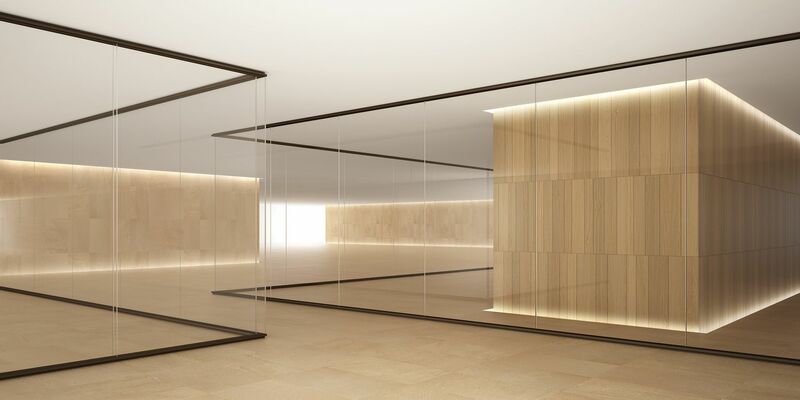 Tek Vue offers the essential elements; a single-center glass wall program and pared down, yet progressive, pivot and barn door program. The system is easy to install, uses materials efficiently and offers flexibility in specification. Tek Vue is optimized to integrate with conventional building construction as well as Altos and Focus programs to satisfy budget or performance requirements. Thin wall and door profiles take up little real estate and respond to varying building conditions through effective site accommodation. Tek Vue also offers a comprehensive articulating and electrical program, as well as variable angle fascia capabilities. Tek Vue framing elements are universal in nature to streamline on-site staging and accelerate installation procedures. 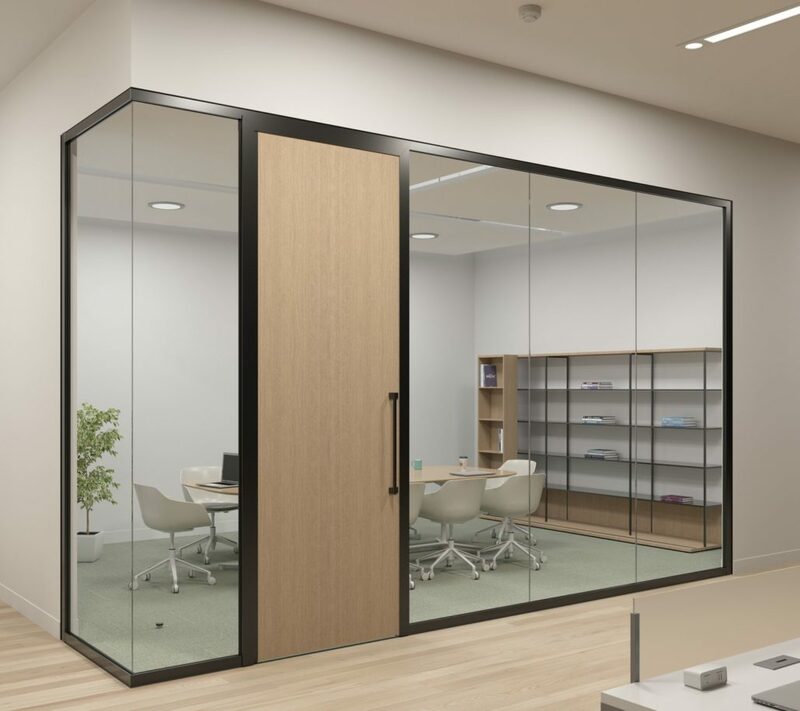 Pivot and barn door frames are not specific to individual door leafs, hardware or ceiling heights, thereby allowing easy placement anywhere on the floorplan. All wall and door framing elements are cut on site from common lengths, allowing flexibility with any on-site discrepancies.